According to one survey, 150 senior executives from 1000 of the largest companies in the United States were asked the importance of proper spelling in resumes. Over 40 percent of those who were given the question, “How many spelling errors in a resume will it take for you to not consider the candidate for the open position with the company?” said that it would take only one spelling error. 36 percent said that they would ignore the first spelling error, but if a second spelling error was found, then they would no longer consider the candidate. Many senior executives state that the resume is an accurate reflection of the potential candidate; they assume if there is a spelling error in a job application, there will be errors while working on the job. The same holds true for professional business websites. Having correct spelling is of critical importance when it comes to online content. It does not matter how good a website looks; if there are spelling errors it will detract from the site's intended impact and message. Properly spelled content increases the trust a person may have in a website. Not only that, but properly spelled online content ranks higher on major search engine websites than misspelled content. Invest in WhiteSmoke’s spell checker program to ensure that all words are properly spelled. Although Microsoft Word does have a spell check program, it is extremely limited. It will only check the spelling of a word, but not check how a word is used in a sentence. If there is an improper word in the sentence, the WhiteSmoke spell checker program will catch it and provide the writer with possibilities of what words to use instead. 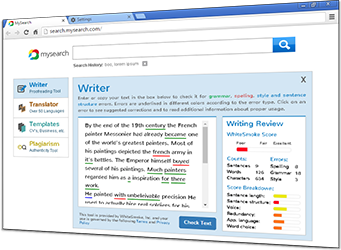 When the spell check is activated, the spell checker program will do a comprehensive search of the entire text and highlight all misspelled words. Students, for example, will find the spell checker program invaluable. It's a well known fact that students can lose points on term papers, research papers, essays, or any other academic assignment because of misspelled words. Even though the Microsoft Word spell check program goes over the document, it does not catch everything. With the spell checker program provided by WhiteSmoke, students will not have to worry about this, as all written assignments they hand in will be completely absent of spelling errors. While we all may rush through writing our documents on the computer, there is no excuse for poor spelling, especially when there is a good spell checker software program available, like WhiteSmoke. WhiteSmoke is credited with being the most powerful spell check tool available today. WhiteSmoke will check your spelling in Microsoft Word documents, emails, blogs, and other social media networking tools. Wherever you can write text, WhiteSmoke’s spell checker program will find all common errors associated with spelling and correct them. WhiteSmoke uses advanced algorithms to detect not only misspelled words but correctly spelled words that are used in an improper context. 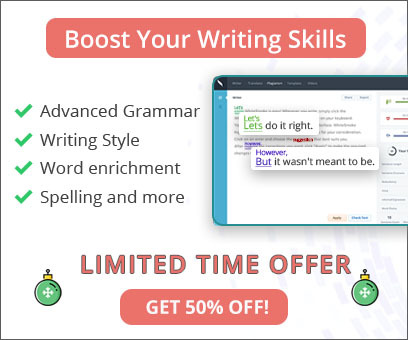 This spell checker program will enhance the quality of your writing and provide you with error-free text every time.